With all the years of growth in the High Country Real Estate Market, the small town of Seven Devils has seen its share of increase. Seven Devils as a town has added some great options for town residents, such as the Otter Falls hiking trails, upgraded tennis court, picnic shelter, kids play area and more. The Blue Ridge Conservancy will be adding several miles of trails over the next few years to their recently purchased 250+ acres. With all real estate and town activity, the numbers of sales and prices have started to climb. A quick history search of the local MLS data reveals an upward swing of prices for the town in Single Family Residential Unit Sales. **These numbers do not take into account condos or land sales, but each have grown with the market as well. 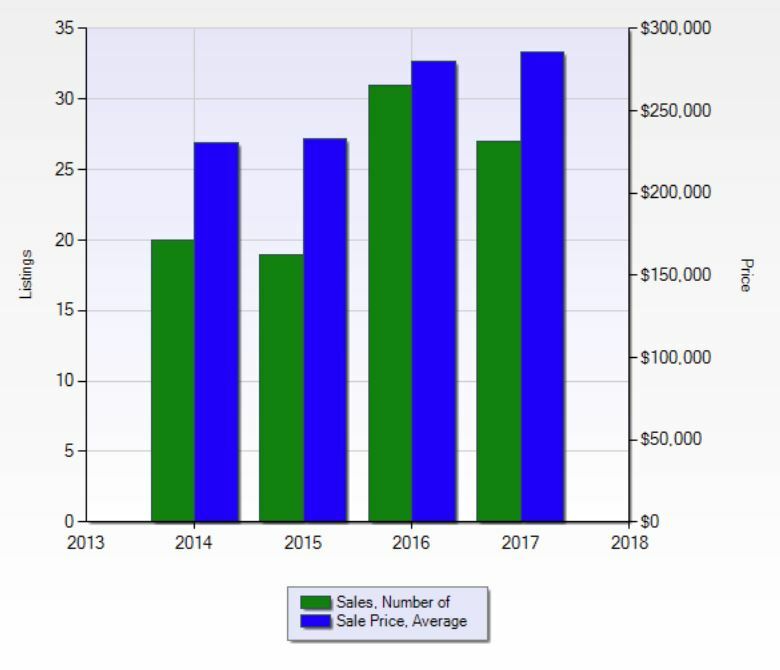 To give you a more visual representation of the growth for Real Estate Market for Seven Devils the graph below shows the number of listings sold single family homes (green), and their average sale price (blue). Although 2017 did not see as many sales as the previous years, the average sold price increased! This is a great indicator that property values are on a upward trend. Seven Devils is an active town with good leadership looking to expand its reach and offer more for its residents. Have a look at their website to learn more. The town offers many community events during the year and has a great Zipline and Snow Tubing attraction.